The plane of dissection for the midface is entirely separate from the temporal dissection. As stated, the temporalis dissection is beneath the temporoparietal fascia. As dissection is carried inferior to the zygomatic arch the plane abruptly switches to the subcutaneous level. Subcutaneous dissection is carried forward sharply in the midface until visualizing the honeycomb perforations that were created during the lipodissection. As dissection proceeds inferiorly around the ear toward the mastoid area, very careful, sharp dissection is required. If the plane is too superficial, the flap may be compromised. If dissection goes too deeply, there will be bleeding from the muscle and possible injury to the great auricular nerve. The incision extending posteriorly from the post auricular crease is made deeply and extends through the underlying fascia. When the mastoid and occipital regions are dissected, care must again be taken to keep the plane of dissection deep in the upper part of the flap. This is essential because the flap will later be advanced by securing it to the superior occipital fascia with deep permanent sutures. As dissection continues inferi-orly in the occipital region, the plane become more superficial but still must remain beneath the hair follicles to avoid producing alopecia. As a general rule, if you see hair follicles, they probably are damaged. 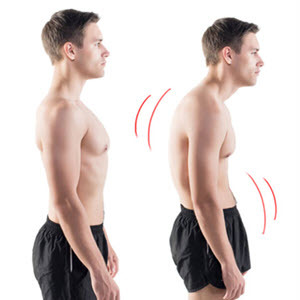 Flap elevation is carried out from behind, working toward the sternocleidomastoid muscle. In this area, sharp dissection will be required. We prefer to use the electrosurgical unit, but dissection can be carried out with a blade or scissors. A very important part of the dissection is the upward dissection in the occipital scalp, the dissection extends just above the fascia, for a distance of 3 or 4 cm. The scalp is released superiorly to allow for later advancement of the lower occipital flap during closure. While this flap is firmly advanced, little or no skin will be excised. Rather, the skin will be allowed to loosely lie and often creates a small "sausage" roll that will slowly flatten over a period of weeks. This loose skin allows a very nice realignment of the posterior hair line, as there is really no tension of the skin edge. As the dissection proceeds inferiorly and forward to the sternocleidomastoid muscle, we are careful to avoid injury to the external jugular vein and great auricular nerve. Once in front of the sternocleidomastoid muscle, we will again see the perforations produced by lipodissection. Now the remainder of the subcutaneous dissection is usually quite simple. We typically complete the dissection by simply sweeping our finger across the residual fine bands of connective tissue. If necessary, we use open scissors, which we advance for a rapid elevation. The general anterior extent of the subcutaneous dissection is to a line drawn from the corner of the eye to the mental foramen. This varies and, in keeping with our "opportunistic" approach, we will be more conservative if the dissection is more difficult, or if there is more than minimal bleeding. In the neck, superficial dissection is generally carried out completely across the midline. Because of the tumescent infiltration, the dissection is almost always bloodless, but meticulous hemostasis is accomplished with electrocoagulation.